This activity can be used with various different literacy skills. I use it as a formative assessment in my classroom. I put up picture cards that need the same skill (CVC words, short a words, -l blend words, etc) to see if the student can transfer that skill in their own learning. Place various picture cards around your classroom. Put a small sticky note on the picture with a number (1-20). 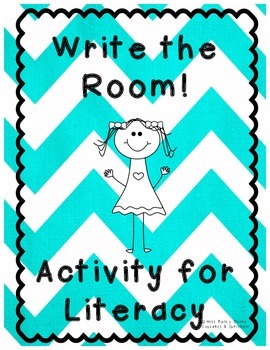 Then have students go around your classroom and write the room. They will find the number that is on the picture and then spell that word on the line. Then you can see their progress in spelling.